Tropical forests are important drivers of the global carbon cycle, yet a critical source of uncertainty in global climate models is the response of tropical forest plant physiology to rising temperatures. We investigated plant physiological acclimation to experimental warming through two experiments conducted at the Tropical Response to Altered Experiment (TRACE) site in the Luquillo Experimental Forest in Puerto Rico. First, we investigated two common understory shrub species, Psychotria brachiata and Piper glabrescens after eight months of field-level whole-plant understory warming using infrared heaters arranged in six 4-m diameter plots (three +4 °C heated and three control). We also investigated acclimation of two mature canopy tree species, Gaurea guidonia and Ocotea sintensis, to four weeks of leaf-level within-canopy warming at multiple heights from a 20 m canopy access tower. We tested for thermal acclimation in both understory and canopy foliage by comparing the optimum photosynthetic temperatures (Topt) and photosynthetic rates at optimum temperatures (Aopt) between the heated and control plants or leaves, as increases in either or both would indicate thermal acclimation. We did not expect these tropical species to fully photosynthetically acclimate to warmer temperatures due to the narrow temperature ranges under which they have evolved. After three months of warming, photosynthesis of the woody understory species did partially acclimate, showing increases in Topt, but no change in Aopt. After eight months, however, warmed plants revealed increasing signs of stress, where increases in Topt were less pronounced, and Aopt actually declined. We found no evidence of photosynthetic acclimation within the canopy. Overall, these trends indicate declines in photosynthetic uptake with in situ warming treatments, despite evidence of acclimation in temperature optima. A disproportionate amount of carbon is cycled in the upper canopy, and incomplete acclimation of exposed sun leaves could have negative implications for tropical ecosystem carbon balance. Molly Cavaleri is an Associate Professor of Tree Physiology at Michigan Technological University in Houghton, Michigan. Cavaleri studies forest canopy ecophysiology, forest responses to global climate change, and carbon and water cycling through forests. She serves as a principal investigator of the Tropical Response to Altered Climate Experiment (TRACE) in Puerto Rico, the first field-scale forest warming experiment in a tropical forest. 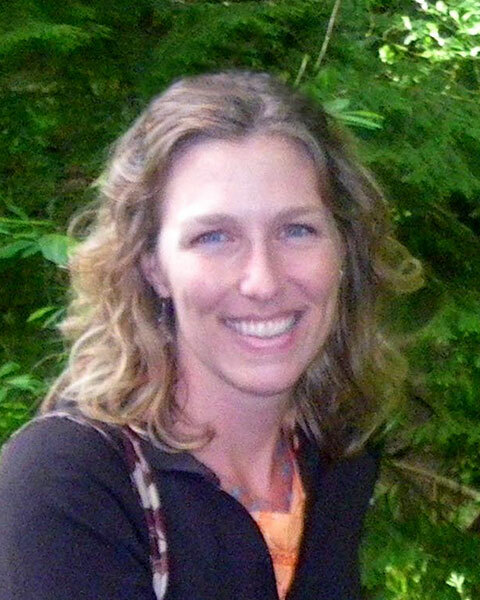 Bio: Molly Cavaleri is an Associate Professor of Tree Physiology at Michigan Technological University in Houghton, Michigan. Cavaleri studies forest canopy ecophysiology, forest responses to global climate change, and carbon and water cycling through forests. She serves as a principal investigator of the Tropical Response to Altered Climate Experiment (TRACE) in Puerto Rico, the first field-scale forest warming experiment in a tropical forest.